The United Methodist Church wants to re-energize Sunday School and spark new ministries, especially those focused on children. Can you imagine a church where 60 to 75 percent of those who attend worship also attend Sunday School? Can you imagine a Sunday School so vital that it has sparked so many other ministries that the church building is used seven days a week? Well, we can at Trinity! Here at Trinity Church, we don’t just imagine these scenarios at Sunday School; they are our immediate goals for 2015 and 2016, and we’re making things happen. Let’s begin in September by following the lead of our Associate Pastor Keith Lee. Pastor Keith has great and ambitious plans for Trinity’s children and youth. He’ll be joined by Lauren Stevens, who has moved into Trinity House. She is from Sunnyvale, CA, and will be a first-year student at Wesley Theological Seminary. Her ministry area at Trinity will be with our children and their spiritual formation. What a terrific team! he Virginia Conference School of Children’s Ministries is inviting all Education and Children’s Ministry workers and teachers to Extraordinary Lessons from Ordinary Objects, November 7, at Good Shepherd UMC in Dale City. This event presents new skills in making meaningful faith connections with our children. As the nation’s third-largest religious body (behind Roman Catholics and Southern Baptists) the United Methodist Church is more influential in seats of power than people realize. This means that what is taught in our Sunday School classes is helping determine morals and values on the large scale. Sunday School is where the action is. Trinity Church kicks off and celebrates the new Sunday School year on September 13 with a Potluck lunch and bounce houses. Please plan to join us. Sunday School – It’s For Life. Are you looking for a healthy, easy way to feed your family AND a way to fit an hour of small group fellowship into your weekly schedule? We have the answer! Wednesday evenings from September through May, join us for dinner, fellowship, discipleship and fun! Come by yourself, bring a friend, come as a family or come as a date night! A wonderful dinner is served from 6-6:30 p.m. and afterwards you can choose your class: Bible Study with Pastor Jim, Youth Group, Children’s Choir, and other small groups. Posted on August 27, 2015 Categories Children, Education, Pastors' Articles, Worship, YouthLeave a comment on Sunday School – It’s for Life! What Do You Think, When You Think About Jesus? What do Americans think about Jesus? Son of God? Savior to the world? Or, maybe a prophet with some great suggestions on how to love one another? It’s no secret there are more people at church on Easter and Christmas. That’s not surprising. In fact, Google searches of Jesus Christ shot up by 53 percent in the week leading up to Easter this year. Barna, a research group that looks at faith and culture, asked questions about Jesus. The answers might be surprising to some. I invite you to look at the results, and think about where you fit in the responses. Younger generations are less confident that Jesus was God on earth. Nearly six in ten adults surveyed believe Jesus was God. Another quarter of adults believe Jesus was simply a religious leader on the same plane as Mohammad or the Buddha. Less than half of Millennials think Jesus was God. Americans aren’t sure if Jesus was sinless. A little more than half of all surveyed think that while he was on earth, Jesus was human and committed sins like other people. For Millennials, the number was a little higher. Most Americans say they have a commitment to Jesus Christ. More than six in ten say they’ve made a personal commitment to Jesus. If you break that down, more women (68%) than men (56%) say they’ve taken that step. Money counts, but not in a good way, apparently. Those making more than $100K per year were less likely (53%) to make the commitment than those making less. For instance, of those making less than $50K, a full 65 percent say they have a personal commitment to Jesus. What does this tell us? Should we, the church and body of Christ, be depressed by these numbers? Not in the least! This tells us we have much work to do and many people to serve, especially among the Millennials. Trinity United Methodist is focused on bringing the Good News to our community and beyond. But, we need your help. Join us as we extend the love of God and share the peace that passes understanding to all. Posted on August 27, 2015 August 27, 2015 Categories Children, Church & Society, Education, Missions, Pastors' Articles, Worship, YouthLeave a comment on What Do You Think, When You Think About Jesus? The idea that parents are the main spiritual leaders for their children sometimes gets an unfavorable response from parents because they are intimidated and feel burdened. However, as they think more about it, they start to warm up to it. The real pushback is from the children themselves. Some of them feel exasperated because of their perception that parents are hovering over them-‘helicopter’ parenting. It might be an unfair assessment but I remember when I was a teenager, any kind of input from my parents was received with protests because I felt that they were interfering needlessly. Therefore, I would like to make three suggestions to help us as parents become better disciplers of our children. Discipler – one who encourages and enriches new Christians by nurturing their higher calling in Christ. Many of our children’s problems and dilemmas are not as serious as those that parents face. One of the natural responses to a child who is struggling with issues at school or church is to dismiss the gravity of the situation. We say things like “it’s no big deal” or “you’ll do just fine” or “you’ll get over it.” It might be true that the problem is not as serious as the child believes. But in order for parents to earn the right to speak into their lives, my suggestion is that parents sympathize with their situations. So one suggestion is that you listen with sympathy and understanding when your child approaches you with problems. Tied with empathetic listening is avoiding the temptation to give advice. My mentor for pastoral counselling would say, “Don’t try to fix me! Can you just listen?” He was making the point that most people don’t want pastors to fix their problems; they just want someone to listen. To be honest it’s easier said than done, so I’m not good at this. However, when I hold my tongue and listen, the person usually works out his/her solution while talking. At the end of the conversation, s/he feels better because while describing the issue, the solution becomes clearer. Remember, don’t try to fix them. Lastly, before parents teach their children, my suggestion is that we should orient ourselves to be learners of their world. This became abundantly clear when I was appointed to Trinity as the Youth/Education Pastor. I realized that I didn’t know much about my daughters’ world. I have a long ways to go, because their world is vast with celebrities, ideas, trends and YouTube artists I didn’t even know existed. By orienting myself as a learner of their world and conveying my need to have them inform me, my relationship with them changed drastically. Hopefully, I’m seen as more relevant and sympathetic to their worldview and concerns, so that I’m perceived less as an intruder and more as an insider. I hope these suggestions can help all of us be great disciplers of our children. The fact is that they need us more than ever. They need our guidance and wisdom, but many times they feel alienated because parents are perceived as those who has tremendous authority and power over them. The power differential between us and our children can be intimidating and may hinder honest interaction (especially when they hit preteen years and up). I pray this article can help you fulfill the great commission in your household. RING AND SING WITH OUR CHOIRS! Trinity Ringers will resume Tuesday, September 1 (7:30 p.m.), Memorial Ringers will resume Thursday, September 3 (6:30 p.m.) and Chancel Choir resumes Thursday, September 3 (7:30 p.m.). All rehearsals are in Room 115. Please join us! SHARE CONCERT! Our Chancel Choir is joining McLean area church choirs in a Day to Serve multi-faith concert and food drive (benefiting SHARE of McLean, which provides emergency assistance to people in our area) on Saturday, September 26 (6-7 p.m.). This massed choir is not auditioned, so any Trinity members who like to sing but are not in our Chancel Choir are very welcome to join us. Three rehearsals (August 29, September 5, September 12) are on Saturdays from 4-5 p.m. at Charles Wesley UMC (6817 Dean Drive, McLean). The final rehearsal (Saturday, September 17 from 4-5 p.m.) will be at the Church of Jesus Christ of Latter Day Saints (2034 Great Falls Street, Falls Church), which is also the site of the September 26 concert and food drive. CHILDREN’S CHOIR resumes Wednesday, Sept. 16 at 6 p.m. We begin with a meal in Langley Hall and then rehearse until 7 p.m. Newcomers welcome! O Lord, bless your servants who minister in your temple. Grant that what we sing and ring with our lips and hands we may believe in our hearts, and what we believe in our hearts we may proclaim in our lives, through Jesus Christ our Lord, Amen. During September, we will continue to collect school supplies and new or gently used khaki pants (sizes 3T- 14) for DC Scholars at Stanton Elementary School. Needed school supplies include 24 count crayons, #2 pencils, glue sticks, blunt-nosed scissors, rulers, and black marble composition books. Donation baskets are located in the church narthex as well as the Fellowship Building. 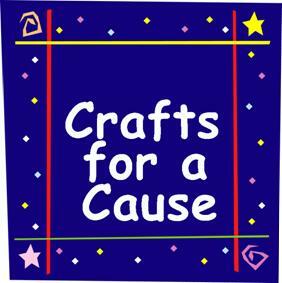 Crafts for a Cause will try out a new schedule during September, offering work session every other Monday night and every other Wednesday morning in Room 124. This month, the sessions will be Mon., Sept. 7 and 21 from 7 to 8:30 p.m. and Wed., Sept. 16 and 30 from 10 to 11:30 a.m.
During the sessions, we will be making comfort pillows, blankets and surgery dolls for patients at Fair Oaks Hospital. Sessions may also involve hand-stamping cards for the Ronald McDonald House, and working on projects for the Holiday Craft Fair, which will kick off Sunday, Nov. 22. It’s the annual fund-raiser for Crafts for a Cause, so get your holiday gift list ready! 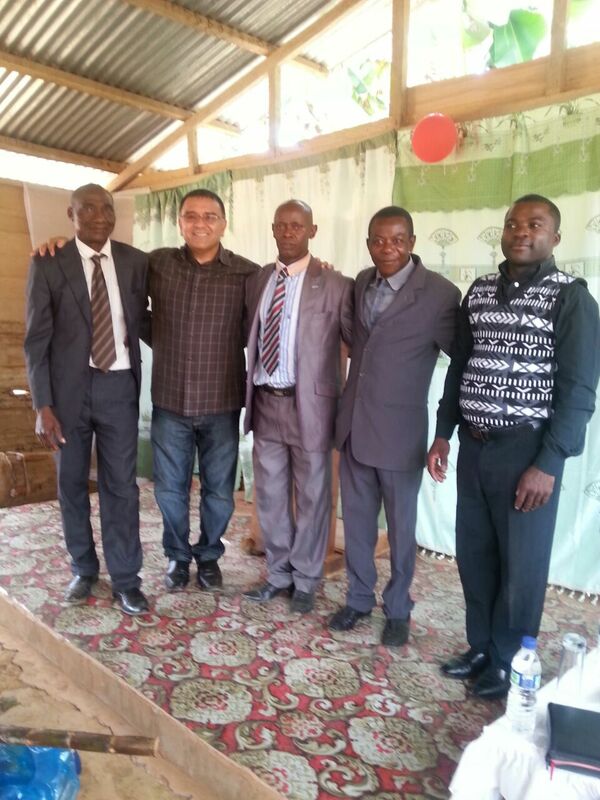 We received a note from Pastor Luis Polanco about his recent mission trip to Africa. Pastor Polanco currently serves as pastor of our Spanish-language congregation, Iglesia de Dios. I departed from Dulles Airport on July 16 at 11 a.m. and arrived in Malabo, the capital city of Equatorial Guinea, on July 17 at 10 a.m. I preached on July 17, 18, and 19 at a multicultural church (attended by several tribes) and 10 souls came to Jesus and accepted Him as their Savior. In addition, we prayed for the ill and for divine healing. On July 20, I flew to the city of Bata, and preached in the towns of Zuzomo, Misha, Udong, and several other villages about Spiritual Fatherhood. Additionally, we provided leadership training. I returned to Malabo on July 24. I preached on July 24, 25, and 26. I visited the hospital and homes of the ill to pray and talk to them about the love of our Lord. During this last three days in Malabo, 15 more souls accepted the Lord as their personal Savior and 18 who had been away came back to renew their vows with Jesus. Lastly, we initiated a leadership school for the church. Dayana is a student at The Leadership Center (TLC) in Honduras where Trinity has formed a relationship. Many mission teams have visited TLC. Trinity sponsors Dayana. Read her own words here: Dayana’s letter. 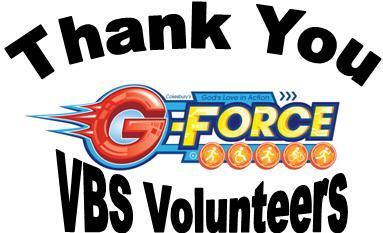 Read more about our Kick-Off on Sept. 13 bounce back. Children’s Choir meets on Wednesday nights at 6 p.m. They begin with a light family dinner and then have a rehearsal to learn and discover more about their faith through music. Bibles will be given to third graders during the 10:30 a.m. worship service on Sunday, October 4. Please send the name of your third grader to Harriet at hlatta@umtrinity.org by Sept. 20 to be included on the list for distribution that Sunday. Sunday School meets at 9:30 a.m. for study of scripture. Confirmation is offered to students in grades 7 and up who wish to learn more about Jesus, the church and the United Methodist Church. Classes will be held during the Education Hour at 9:30 a.m. beginning in October. The celebration of Confirmation will be on May 15, 2016. Youth Group, for grades 6—12, meets on Sunday evenings for faith and fellowship development. We gather in the Fellowship Lobby at 5 p.m. on Sundays. Bible Study with Pastor Jim will continue on Sunday mornings at 9:30 a.m., Mondays at 10 a.m. and Wednesdays at 6:30 p.m. The current topic is Paul’s Letters and is led by Jim Sprouse in the Library. The study of Paul’s Letters will last until Thanksgiving, studying one letter a week. Community Bible Study is a non-denominational Bible study that meets in our Fellowship Building on Monday nights at 7 p.m. This year they will be studying 1 & 2 Corinthians. Please contact Jerome Johnson, Jxjohnso@travelers.com, 703-338-7196 for more information. Connections will begin a parenting series on the book The 5 Love Languages for Children by Gary Chapman and Ross Campbell. All are welcome to attend, advance preparation is not required. This study will end in time to begin an Advent study after Thanksgiving. The class meets in the Chapel from 9:30 to 10:15 a.m. on Sunday mornings and be led by Karen and Andy Briscoe.